Bart Staes and Sven Giegold are Members of the European Parliament for the Greens/EFA group. At least one third of the 1,814 high production volume (more than 1,000 tons per year) chemicals made or imported into Europe since 2010 are in breach of the European Chemicals Regulation (REACH) and thus illegal under EU law. It’s not the Greens or an environmental NGO saying this, it is the German Federal Institute for Risk Assessment (BfR) and the Federal Environment Office, after a thorough three-year investigation. Only one third of high volume chemicals comply with EU law. For the remaining third, it remains unclear. We admit: the REACH legislation which entered into force in 2007 and the ongoing non-respect of it, is a complex issue. But this concerns literally every citizen in Europe, 500 million people from unborn, to the very old. And strangely enough, nobody seems to care. The Greens have been raising the issue since many years, when the annual report of the responsible European agency called ECHA was debated in the European Parliament. The difference now is that the German authorities did for the first time a very deep and detailed analysis – a big thank you BfR – on how serious the breaches of the law are. So let us summarise it via a simple metaphor. We have speed limits everywhere in the EU. And yes when a camera flashes you when you drive too fast, there’s always a speed-correction of 5km/h to 10 km/h. But imagine this: you’re driving 30 km/h too fast, your cars picture is being taken, but you do not receive a fine, although you have been doing this speedy driving for many years. You just receive a friendly note from the police saying that next time you should really take it easy and improve your behaviour. That’s more or less what has been happening in the wonderful world of chemicals. The types of chemicals implicated in the new German study can be found in a very broad range of consumer goods, such as paints, packaging, furniture and building materials. How is that possible? Well, basically it is about ECHA not wanting to be too harsh, critical nor punitive, and acting more as a ‘facilitator’ for chemical companies than as a ‘protector’ for the general public. At the same time: the responsible authorities in the members states were notified about the situation. Each year they received notifications by ECHA that a certain substance got ‘a statement of non compliance’. On the basis of this each member state could act. REACH says ‘no data, no market’. Alas, in reality for a lot of chemical companies it was more like ‘no data, no worries’. This is frustrating for companies that did comply with the law and in a way constitutes ‘unfair competition’ for them. They might be moving to other parts of the world to produce alternatives. Again, we applaud the German authorities for taking the issue seriously and making this in-depth assessment. This should be a serve as a stark reminder to all Member States that laws are only as good as their enforcement. And the law is clear: as from 2010 REACH obliges chemical companies to hand in a dossier to ECHA when they want their high volume chemical to be officially registered (for less high volumes this requirements started only in 2013 and for the small amounts only as of this year). ECHA first does a “completeness check” to see whether all required data, safety tests, and scientific studies are in the dossier. This first phase is done in an automated way, it is not checked by humans. But it does provide the company with a registration number, which gives access to the EU market. ECHA then does a more detailed “compliance check” with only 5% of all applications, to see if all data requirements are met. Are the data provided by the company on for example ecotoxicology or carcinogenicity correct and up to date? Just four (4!) of almost 40,000 dossiers registered with ECHA have been revoked by ECHA since 2010. In reality that number should have been higher. The BfR found for example that in 61% of the high volume chemicals – and these make up for 95% of the total market – is non-compliant for the factor eco-toxicity. So all this means that for many years, chemical companies in the European Union have marketed hundreds of potentially very harmful chemicals, without properly checking if they are toxic, eco-toxic or have the potential to cause cancer, impair fertility and inhibit the development of unborn children. And everyone that needed to know, was aware. Is that a chemical Dieselgate? Or worse? Cancers, respiratory diseases and infertility have all been linked to chemical exposure. For nearly a decade the chemical industry has been obliged to test all high volume chemicals for dangerous effects in order to sell them, so the very idea that a third of these chemicals are still on the EU market without having been properly scrutinised for very harmful properties is disturbing. Authorities must enforce the law and not give a free pass to the chemical industry. A large part of the industry has dodged the rules for many years by trying to avoid legally required tests on their products. This must end, non-compliance can no longer be rewarded with inaction. The European Chemical Agency (ECHA) needs to explain how we got to this point beyond using weak excuses about data quality. This is like gathering all people in a town, who have been breaking the maximum speed limits non-stop for years, in the police station and letting them promise that they will really drive slower next time. ECHA should simply give the chemical industry a final deadline to respect the law! If not: ‘no data, no market’. The European Chemicals Agency and EU member states must now show that they are serious about protecting human health and the environment. 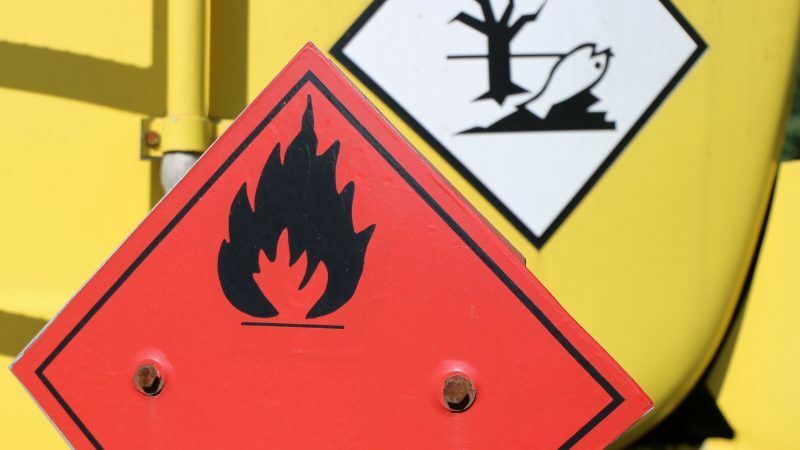 All substances that do not comply with existing EU rules on chemicals must be taken off the market and governments must apply heavy penalties for any instances of non-compliance that regulators have already uncovered.